Latest in offline to online marketing solutions, lead generation & sales. In the digital age, PPC may represent what direct mail was in the age of traditional marketing: the flagship tactic of its time. At least, that’s how some marketers perceive them. Both accessible to marketers with smaller budgets, PPC and direct mail campaigns are commonly tracked by their response rate, though their results can be measured in a variety of other ways. As a marketer, you work hard to drive prospects to your website. Through organic search, social media, banner ads and more, you’re positioning your businesses as a resource worth a prospect’s click. Just getting them to your site is a win of sorts, but it’s far from the ultimate prize. In fact, only 2% of website traffic converts on the first visit. 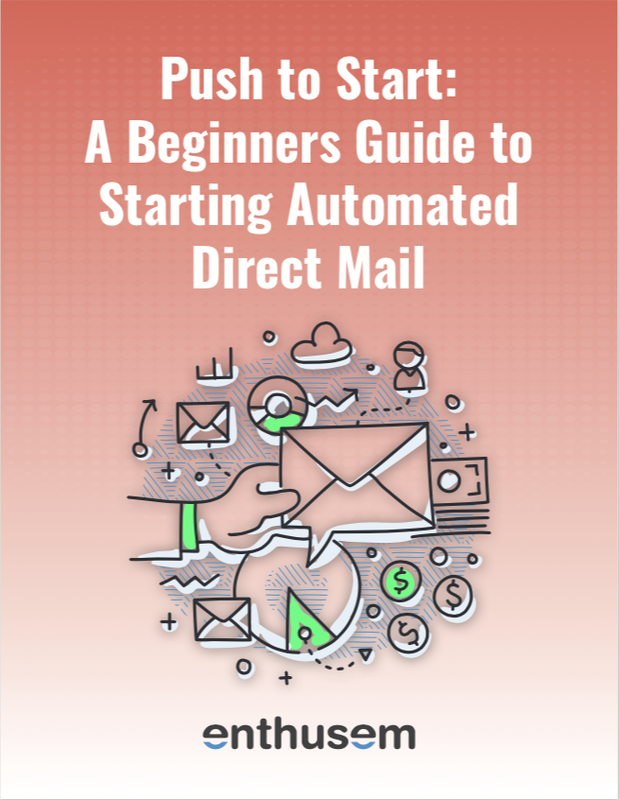 Learn how to get started automating direct mail efforts and drive more traffic to your online content. You’re out with your future significant other – your soul mate. It’s your first date and already you know they’re your perfect match. Sure, it’s only been 30 minutes since you first introduced each other, but you say, “Forget it. I’m going for it.” You get down on a knee and reach into your pocket. But by the time you look back up to ask the question, they’re nowhere to be found. In an effort to attract as much business as possible, marketers often try to run campaigns that cast a very wide net. Their hopes are to appeal to as many prospects within their target market as possible. But especially for B2B marketers, this “strategy” is rarely effective. Rather than throwing the proverbial kitchen sink at anyone and everyone, the smartest businesses concentrate their sales and marketing resources on specific, lucrative accounts. This is called account-based marketing, or ABM, for short. So you’ve decided to run an integrated marketing campaign to drive more leads to your business. And you understand the importance of personalizing your direct mail to better engage your prospects. But in the initial stages of developing your direct mail strategy, you realize that your database of great contacts hardly includes physical addresses. We’ve all received automated marketing pieces from a company that try to trick you into thinking they’re actually personal, right? They want you to believe that the content was meant just for you when in reality 100,000 others that fit your demographics are getting the same thing. The first sign of this is getting a marketing communication from a “Company” not an “Individual.” Do you want to start a relationship with a Company or an actual person?